Who doesn’t love a creamy popcicle? Is that what these are? Maybe a creamcicle? 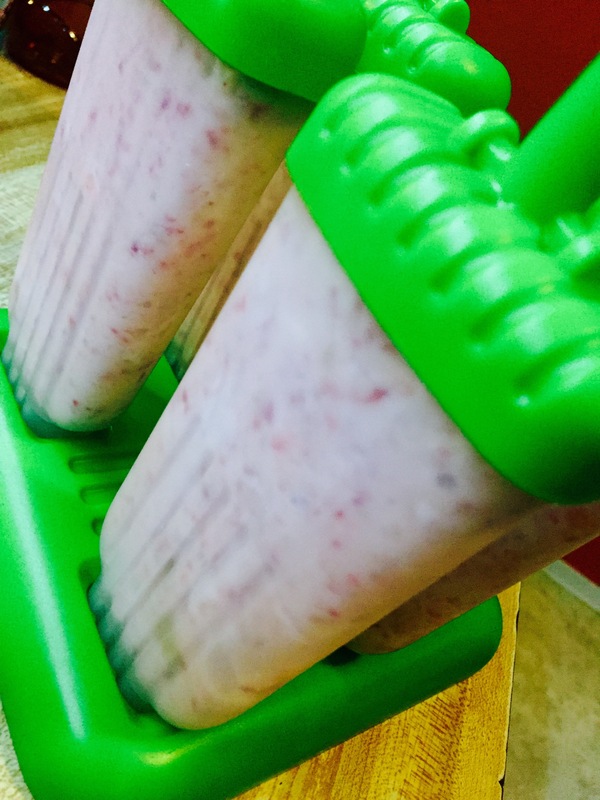 Anyhoo….they make for a delicious and healthy treat! Simple ingredients (heck there are only 3! ), cheap to make and perfect for a sweet something when you’re having a craving but offers something that you can feel good about. Blend fruit & honey in a food processor or blender. We left ours slightly chunky, but you can blend yours more to make it more smooth if desired. Gently stir in Greek yogurt. 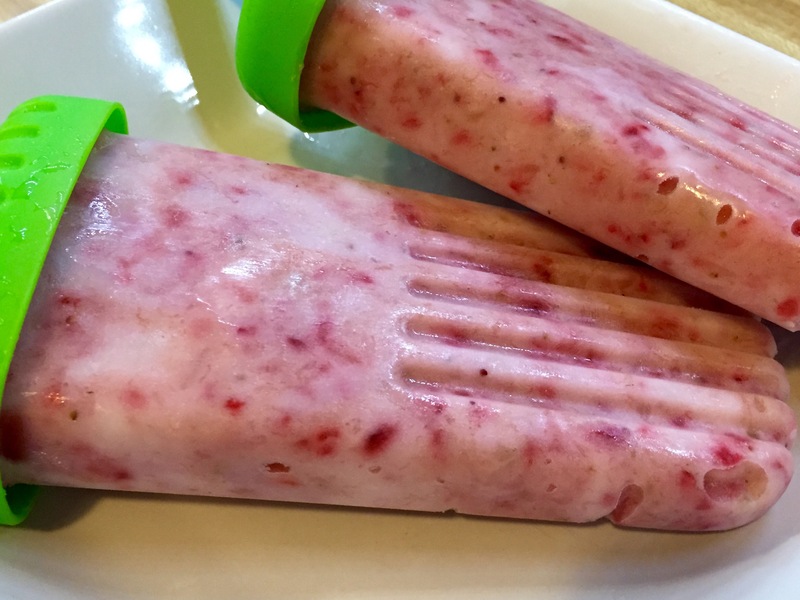 Pour or spoon mixture into popcicle molds and freeze about 6 hours. They come out of the molds easier if they are frozen solid (I tried at around 4 hours and that did not work out so well). Run the mold under warm water in order to loosen the frozen pop from mold and get your treat outa there and into your mouth! 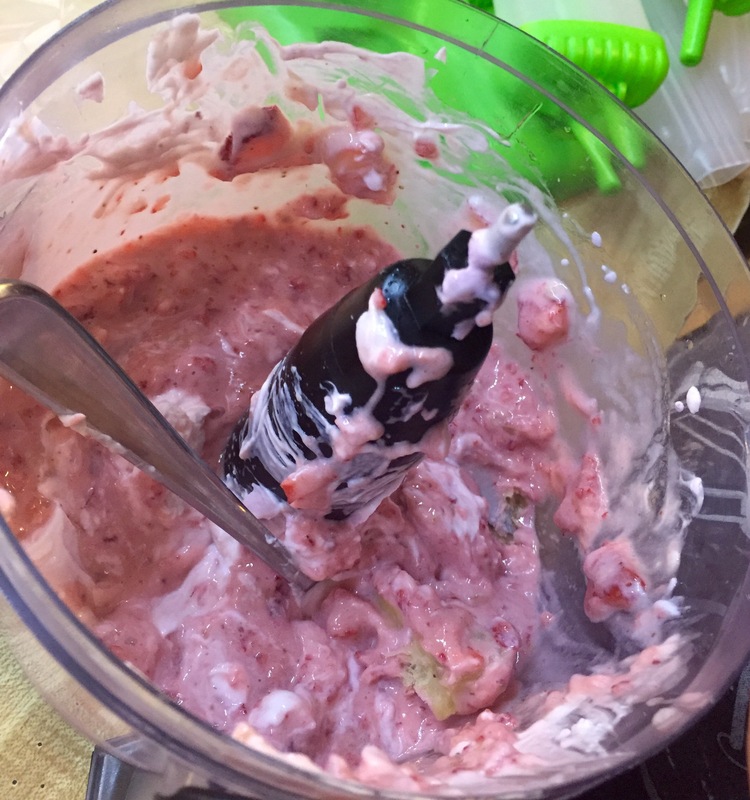 Next we will try layering the fruit and yogurt rather than mixing and see how that turns out!